Bingo Betty keeps the bingo itch alive around here and we satisfied it in a big way in May 2017 with the acquisition of TwoLittleFleas.co.uk. 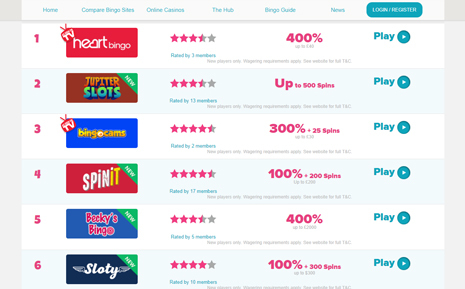 The quirky online bingo portal is a foremost bingo authority with a special focus on the UK market. Delivering reviews based on genuine experiences, reports of new brand launches and bonus details, the site's approach aligns perfectly with LBB's as our overall mission is to educate and enhance your experience - all from the perspective of one player to another. From the moment you arrive, the results are customized to suit your location thanks to geotargeting. You'll find the top 10 sites for players in the UK, US and beyond including corresponding sign-up bonuses and ratings from fellow players. Claim an offer immediately or check out the review page to learn more about the site's you're interested in. Alongside bingo sites, the content has expanded into the realm of online casinos. Hey, most of us are slot spinners too, right? Reviews provide the fast facts at a glance such as games, bonuses and site details including software, network, licensing and support contacts. We've also combed each site including its T&C's to provide readers with a list of pros and cons. Ratings and player comments are available, so you're encouraged to share your experiences too as a registered member of TLF. 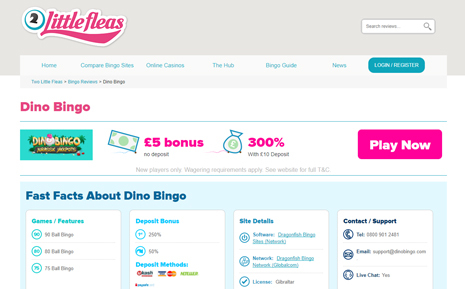 Looking for no deposits, free bingo games, extra spins, specific software, currency or perhaps upcoming site launches? Hit up the 'Compare Bingo Sites' tab to narrow down your search by a variety of categories. For example, the Mega Wheel featured on Jumpman Gaming brands is a hit among the gambling community and as such, TLF has a page dedicated to these offers and other Spin the Wheel sites. Freebies are slightly hard to come by these days, but we've left no stone unturned to create a list of no deposit and free bingo bonuses to make life a bit easier. Handy guides were created by our team of real players to help newbies get started. Brush up on everything from A to Z including rules, how to win, types of bingo, lingo, withdrawals and even how to spot a rogue operation. There's much more to bingo than auto dabbing and chat - well, it's all explained in the guides, of course. 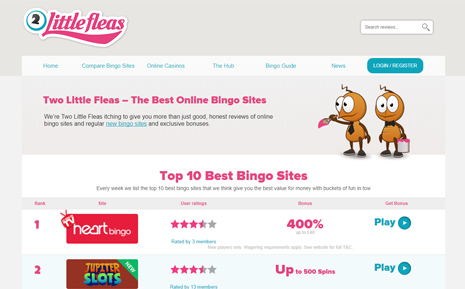 The fleas insist on ensuring your transition into the world of bingo is rewarding and fun. They're tough little critters who mean business. Stay on top of the industry with the news sections. Articles cover redesigned sites, new bonus opportunities, jackpot wins, new sites and much more. Catch up on trending topics and hot gossip. The fleas are busy tracking down the latest buzz right now. Open up a new world with your TLF membership. The fleas are bursting to tell you about the latest and greatest bonuses on the planet. Sign-up and you'll receive weekly mailers including promotions and exclusives that don't disappoint. Ready to scratch the bingo itch?